Full access to all 3 courses. Cancel anytime. 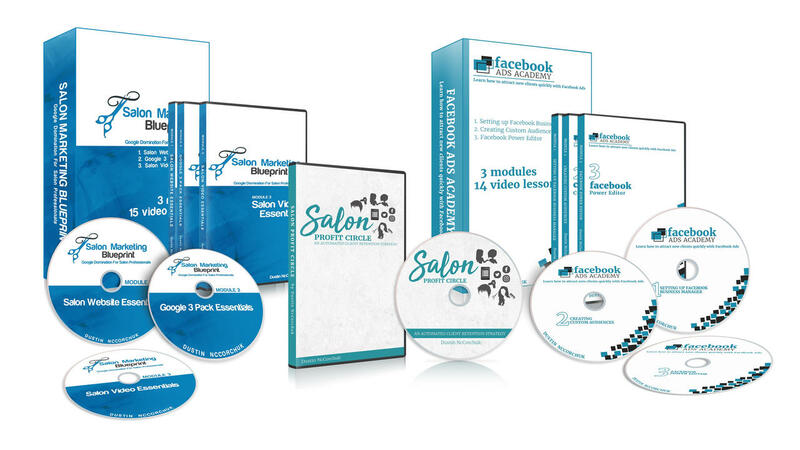 The Salon Marketing University subscription gives you everything you need to build your clientele in 6 months or less. With this subscription, you will have full access to all 3 courses, and follow the strategy we have used in our salon to get new clients every day on auto-pilot.